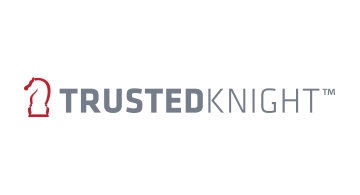 Trusted Knight is a security software company focused on defeating stealth malware - including Man-in-the-Browser attacks that are wreaking havoc in the financial and retail sectors. Stealth malware has been an instigator in every major cyber crime over the past several years and criminals have designed their malware to defeat every security measure that the industry has put in place over the past 15 years. Trusted Knight’s patented Protector™ solution is the only security product that effectively stops Crimeware attacks without being reliant on detection. We stop this class of malware from performing the operations it was designed to perform; thereby stopping criminals from stealing the data they need to perpetrate fraud. Even if your system is already infected, Protector stops criminals from getting your and your customers' data.